Efforts to regulate the use of genetically modified organisms, or GMOs, are sprouting up on both statewide and local county ballots this November. Whether the effort is to mandate the labeling of GMO goods, like in Colorado and Oregon, or ban GMO planting altogether, as in Humboldt and Maui counties, the same David-versus-Goliath narrative has emerged in each fight: local grassroots-led initiatives are being overwhelmed and outspent by outside industry opposition. In Colorado and Oregon, measures calling for the labeling of GMOs have turned into some of the most expensive ballot races in the states’ respective histories with agrichemical industry giants, like Monsanto, and other Big Food titans, such as Coca Cola and Kraft, spending millions to defeat the measures. "We fundamentally believe that labeling of genetic engineering is a democratic right," said David Murphy, founder and executive director of Food Democracy Now, which is supporting both labeling initiatives. The measures are part of a growing movement that is demanding more sustainable agriculture and increased oversight of industrial food production in the U.S.. Local ordinances against GMOs have begun to pop up in concerned communities throughout the states and, earlier this year, lawmakers in Vermont passed legislation mandating GMO labeling, following on the heels of similar initiatives passed in Connecticut and Maine. 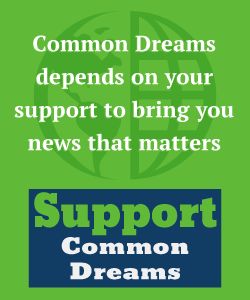 Additional Common Dreams coverage of GMOs can be found here. 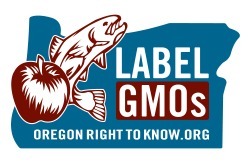 The Oregon Mandatory Labeling of GMOs Initiative, or Measure 92, is on the November 4th statewide ballot as an initiated state statute. The measure would mandate that beginning January 2016, certain food items that were produced with or contain GMOs, referred to on the ballot as "genetic engineering," would be labeled as such. Under Measure 92, "genetically engineered" is defined as "food produced from organisms with genetic material changed through in vitro nucleic acid techniques and certain cell-fusing techniques;" the measure exempts traditional plant-breeding techniques like hybridization. Retailers of genetically-engineered raw food will be mandated to include “Genetically Engineered” on packages, display bins, or shelves. Suppliers must label shipping containers. And manufacturers of packaged food produced entirely or partially by genetic engineering to include “Produced with Genetic Engineering” or “Partially Produced with Genetic Engineering” on packages. The legislation does not apply to animal feed or food served in restaurants. Under Measure 92, the state or an injured citizen is permitted to sue a manufacturer or retailer for intentional violation of the rule. Result of “Yes” Vote: “Yes” vote requires the labeling of raw and packaged foods produced entirely or partially by “genetic engineering,” effective January 2016; applies to retailers, suppliers, manufacturers. Result of “No” Vote: “No” vote retains existing law, which does not require “genetically engineered” food to be labeled as such. Full Text of the ballot measure can be found here. As of October 18, Oregon Right to Know, which is sponsoring the measure and is registered as a supporting committee, reportedly raised $5.6 million by supporters of the initiative. Among the large out-of-state backers are Dr. Bronner’s Magic Soaps and Ben & Jerry’s, which donated $1,150,000 and $70,086 respectively. Among the groups officially supporting the measure are Consumers Union, Food and Water Watch, Center for Food Safety and Oregon State PIRG. Economic consulting firm ECONorthwest was contracted to assess the potential cost impact of the Oregon labeling initiative taking into account various examples including the European Union’s GE labeling regime. The analysts concluded (pdf) the median cost impact is $2.30 per person per year. The NO on 92 Coalition is the primary opponent to this initiative. The contest over Measure 92 has become the costliest ballot initiative in Oregon state history. As of October 18, opponents reported raising $11.1 million and spending $7.8 million. As of October 16, Monsanto has donated a reported $4 million to the No on 92 Coalition; other industry donors to the No on 92 campaign include Big Food multinationals, such as Coca Cola, Kraft Foods and Pepsi Co..
One of the directors of No on 92, Scott Dahlman, is also the executive director of the group Oregonians for Food and Shelter, which has been linked to agribusiness giants Monsanto and Syngenta. The Colorado ballot measure, known as the Mandatory Labeling of GMOs Initiative, or Proposition 105, is on the November 4th statewide ballot as an initiated state statute. The measure would require any "prepackaged, processed food or raw agricultural commodity that has been produced using genetic modification" to include the label: "Produced with genetic engineering." If approved, the law would be put into effect by January 1, 2016. The measure does not include the labeling of food from animals that have been fed or injected with genetically modified food or drugs, alcoholic beverages, animal food, and medically prescribed food. Proposition 105 also specifies "that no private right of action is created for failure to conform to the labeling requirements." Shall there be a change to the Colorado Revised Statutes concerning labeling of genetically modified food; and, in connection therewith, requiring food that has been genetically modified or treated with genetically modified material to be labeled, "Produced With Genetic Engineering" starting on July 1, 2016; exempting some foods including but not limited to food from animals that are not genetically modified but have been fed or injected with genetically modified food or drugs, certain food that is not packaged for retail sale and is intended for immediate human consumption, alcoholic beverages, food for animals, and medically prescribed food; requiring the Colorado department of public health and environment to regulate the labeling of genetically modified food; and specifying that no private right of action is created for failure to conform to the labeling requirements? The full text of the initiative can be read here. The measure is sponsored by the grassroots group Colorado Right to Know. Among those that support the measure are numerous organic food producers and purveyors as well as organizations including Food & Water Watch, Consumers Union, Organic Consumers Association, Greenpeace and Food Democracy Now. Of Proposition 105, Greenpeace writes: "At its core, Proposition 105 is about consumer rights and the ability to make informed decisions and choices." The national environmental group believes that local GMO ballot initiatives, such as these "matter to all consumers, not just those in Colorado." As of October 23, proponents of the measure raised less than $500,000. Ben & Jerry's renamed its Chocolate Fudge Brownie flavor to Food Fight Fudge Brownie to draw attention to both the Oregon and Colorado ballot initiatives. Groups opposed to the initiative have organized under the umbrella group No on 105: Coalition Against the Misleading Labeling Initiative. The coalition includes the Colorado Farm Bureau Federation, the Rocky Mountain Food Industry Association, the Colorado Association of Wheat Growers, the Biotechnology Industry Association, and Grocery Manufacturers of America. As of October 21, the opposition has raised over $11 million. The biggest donor is Monsanto, at $4.7 million, followed by DuPont, PepsiCo, Coca-Cola, Kraft Foods, General Mills, the Hershey Company, J.M. Smucker Company, Dow Agrosciences, and the Kellogg Company. In March, the Colorado Supreme Court overturned an effort to block the initiative put forth by the corporate food lobby group Rocky Mountain Food Industry Association, which argued that the title of the initiative was "misleading." 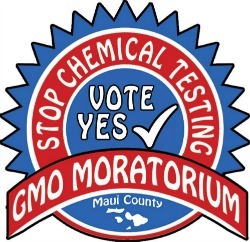 Maui County voters are weighing a measure, known as the Maui County Genetically Modified Organism Moratorium Initiative, which, if approved, will ban all GMO growth, testing or cultivation in the county until an environmental and public health study is conducted and finds the proposed cultivation practices to be safe and harmless. Under the measure, strict civil penalties will be prescribed for violations of the prohibition, with fines ranging from $10,000 to $50,000 per day for cultivation of GMOs. The measure further dictates criminal penalties which could consist of $2,000 in fines and a year in prison for each offense. Hawaii, often considered "ground zero" in the GMO debate, has a long history of agribusiness. For centuries, the islands were used as plantations for large fruit growers, such as Dole. And starting in the 1960's, companies such as BASF Plant Science, Dow AgroSciences, DuPont Pioneer, and Syngenta came to take advantage of the year-round growing season in order to conduct seed testing on new crop varieties. However, Hawaiians have become increasingly concerned over the amount of pesticides being used in these growing operations. Other efforts to curb GMO and pesticide use in Hawaii include a ban on the Big Island, which prohibits the cultivation of GMO crops with the exception of papayas, and a recently blocked attempt in Kauai that would have required large farms to create buffer zones around their crops and to disclose what pesticides they use.  Full text of the measure can be found here. The group behind the initiative is known as the Shaka Movement, or "Sustainable Hawaiian Agriculture for the Keiki and the Aina," (Hawaiian for "children" and "Earth"). Citizen volunteer group GMO Free Maui has been sharing information on GMOs and conducting signature gathering and fundraising for the initiative. "Citizens Against the Maui County Farming Ban,” or CAMCFB, has produced a number of advertisements and newsletters opposing the initiative. Supporters of the ban charge that CAMCFB is misleading voters by calling the measure a "farming ban." The organization was reportedly started by Adolth Helm, who is a project manager at Dow AgroScience. CAMCFB has raised nearly $8 million with Monsanto alone donating over $5 million to the opposition campaign, according to reports filed with the Hawaii Campaign Spending Commission on October 27. In the first week of September alone, CAMCFB spent over $80,000 is TV advertisements. The Hawaii Crop Improvement Association and the Maui County Farm Bureau also oppose the initiative. As of October 27, no polling was available on the Moratorium. On November 4, residents of Humboldt County, California will be able to cast their vote on a measure that would "prohibit the propagation, cultivation, raising, or growing of genetically modified organisms in Humboldt County." Under Measure P, known as the "Genetic Contamination Prevention Ordinance" GMO Ban Initiative, the growth of GMOs would become reclassified as a public nuisance. In the event of a violation, the genetically modified materials would be confiscated or destroyed, and a fine could be imposed per the county agricultural commissioner. Shall the ordinance prohibiting the propagation, cultivation, raising or growing of genetically engineered organisms (also known as GMOs) in Humboldt County be adopted? The full text of the ordinance is available here (pdf). The Committee for a GMO Free Humboldt, an all-volunteer, grassroots effort, is sponsoring and backing the measure and initiated the Yes on P campaign. The Redwoods Chapter of the Sierra Club also endorsed the measure. Over 50 local farms, ranches, vineyards and breweries are backing the initiative as well as other Humboldt-based stores, restaurants, businesses and organizations. 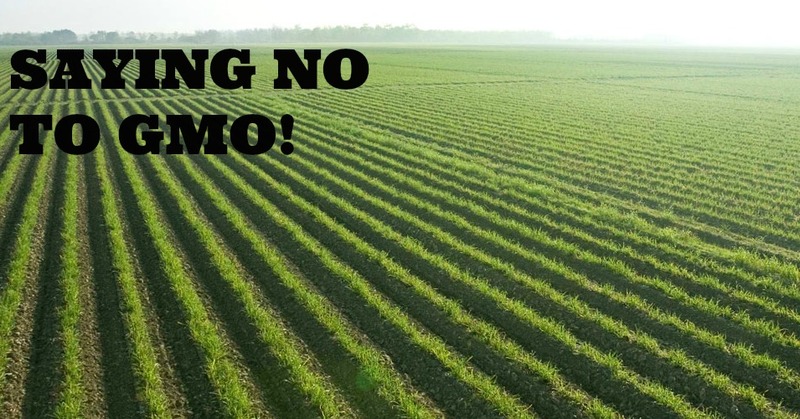 -Proponents argue that the GMO ban will protect local organic farmers, a staple of the Humboldt economy, from potential contamination and keep local growers "off the path" of exponential herbicide use, which is a common companion to GMO planting. No formal arguments against were submitted. Some local farmers have reportedly come out against the initiative as well as the editorial board of the Eureka Times Standard. In Humboldt County, the only area of agriculture that uses GMO seeds widely is feed corn growers who use Monsanto's "Roundup Ready" corn. Reportedly, there as many as several hundred acres of GMO crops in the whole county. As of October 27, no polling was available on Measure P.